There is a dilemma in trying to analyze our attitudes towards predictability. We crave the security of being able to predict outcomes, but we are also easily bored. This post is not intended to be definitive, but suggestive. Any feedback is most appreciated to help me wrestle with this challenge. Before we watch a movie most of us have some sort of idea of what to expect. Will there be a few laughs, will there be a happy romance or a tragedy? Can we figure out ahead of time who was the murderer or who end up together? Will there be lots of thrilling action? Who is the father? Are the performers attractive? Does it have a happy ending? Financing movies is scary. Those who are lured into financing a movie are looking for predictable profits and most are reluctant to take unnecessary risks. One way of reducing the risks is to borrow from other successes, such as best seller books, long running plays, foreign language award winning movies and what might be called popular prequels. When selecting a movie to watch, our moods may be different from hour to hour. Sometimes we want to forget our troubles and have a good laugh. Sometimes we want to be scared. Sometimes we hope our blood will race faster. Maybe we would like to match our wits with a mystery. A little romance can be what we require. Sometimes we want to be surprised. Film makers recognize these as opportunities. The English Patient is a book I have not read, but had heard a great deal of praise, in particular by Joe Duda. Joe actually helped me develop a respect for the author Michael Ondaatje and consequently I have read 3 other books (one of which Joe expressed disappointment). 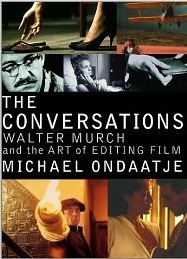 One of the books was "On Editing Movies." In this book Michael wrote about his admiration for film editing, a skill he had not thought about much before his book was turned to a movie. The experience can be very frustrating for a novelist, but Michael came out with respect for the film making process. Earlier I wrote about "Bliss" (book written and movie music scored by Zulfu Livaneli) where I had seen the movie first and read the book second. http://www.therealjohndavidson.com/2011/05/turkish-delight-in-book-and-movie-form.html It illustrates that books provide a better platform for studying in depth and can unleash the imagination. In "Bliss," the book, the mystery of the movie is revealed near the very beginning. In the book the author even jokes about avoiding the Hollywood ending that indeed was adopted for the movie version in a captivating manner. Movies do have some advantages in the sense that a picture is worth 10,000 words and I would add a moving picture with modern technology is more powerful than that. The limiting factors are time and money. Most of us, most of the time get bored watching a tv show or movie for more than 90 minutes. There is quite the challenge of putting the complexity of a novel into that time frame or finding ways to keep attention for a longer time frame. A more practical goal is to get the essence right and that too is very difficult. Many screen writers and directors often under pressure from producers make changes in the original material to make it more marketable. Money and time are closely related. Money is difficult. On one hand a movie studio would have better access to large amounts of money than a struggling writer. But, they need to make a profit and that means controlling costs. It also means to market to the public they need to consider what they think the public is willing to pay for. The biggest items of expense are big name stars, special effects and promotion. They are all intended to capture mass attention (or just as often a highly prized niche). Small budget movies usually have time constraints and are limited in tapping big name stars, special effects and promotion. Time is also very difficult. First for the film-maker who especially these days has a specified number of days, often because of contracts of the work team and demands of financiers to get the final product on the market. From the viewer's point of view we know there is a limit before boredom triggers the law of diminishing returns. Although the ticket or the DVD has been bought the investors still require the viewers to recommend the movie to anyone who will listen to them and there is the hope in some cases they will be repeat buyers or buy some of the branded trinkets. Movie trailers and teasers give strong clues about who might enjoy the movie. This is quite the art. Get attention and not be accused of fraud. A lot of action in thin slices, perhaps a hint of a plot and lots of big names if available. Many of us realize that many of the little segments are not in chronological order. A common complaint is that trailers can be very misleading--teasing you with one message, but not delivering. Foreign films often provide confidence for investors. Swedish book and movie, "The Girl with the Dragon Tatoo" is a good example, but there are many others. A strange phenomena is in India where they have several languages with Bollywood being in Hindi. They have discovered some movies in other Indian languages such as Tamil, Telegu, Malayam that even when provided with subtitles can be remade confidently to a niche or completely be redone. What I called prequels could be any successful movie that could be backward in history. Sequels have a long history by extending successful movies. This has actually worked in many instances, but if overdone can become deadly. To me a movie is an adventure, a story. Usually afterwards if I enjoyed the movie I go to check on further information. Usually I have done research before actually viewing the movie. Sometimes I think my wife is phenomenal in forecasting a key end result. Often there is more to a movie than the plot. Sometimes I feel pretty good understanding some of the background of a movie and other times I love being totally caught off guard. Would you rather be mystified by a really good magician or would you like to know how he did it? Editorial addition Oct 2/14. I added in a photo of one of my favorite movies because it is one of the most unpredictable movies I have seen. Something like "Sixth Sense" or "The Usual Suspects" where the viewer realizes they have let themselves be misled from the very beginning. "Kahanni" is like that. While we like happy or predictable endings we appreciate the truly unexpected endings as long as we don't feel cheated.